The Melange Team Weekly Challenge word is ‘Dance’. How lovely is that? It conjures up all sorts of graceful, lovely, and even fun images. 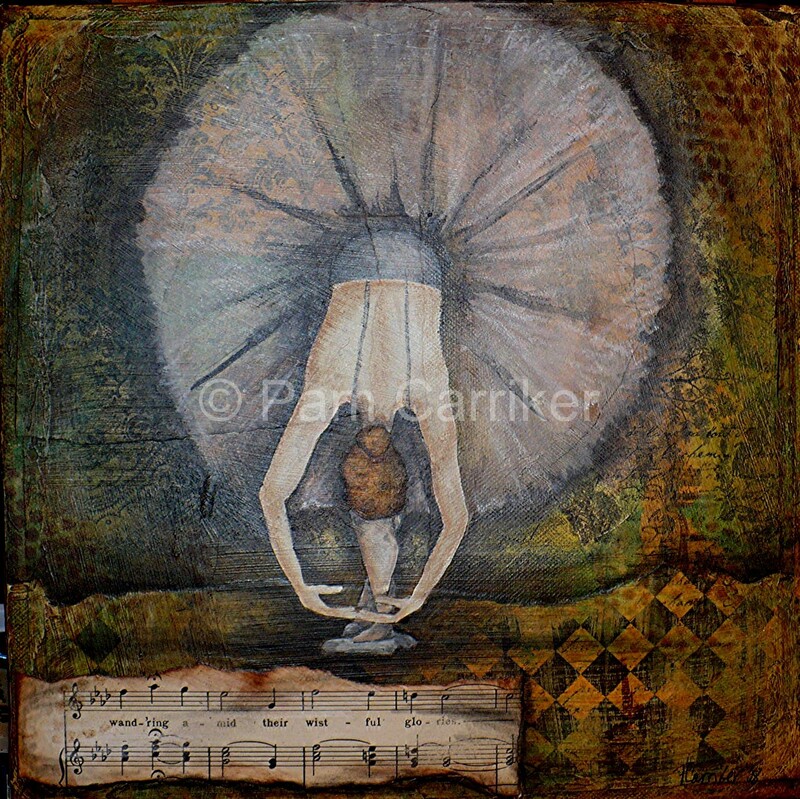 This piece, ‘Wistful Glories’ is one I did some time ago. I spent some time in a gallery at ZNE’s convenzione and I picked it up when I went to this years retreat. I had it at my table during my make and take and it sold. I don’t do a lot of sales in person. Most are done online and I never meet the people who buy my art. I always love to hear from them and it warms my heart to hear when my work has found a good home and is being enjoyed. This sale was face to face and the woman seemed to love it so. It was a great feeling and made my heart feel like dancing. I really loved this piece and it was good to see it again, but my art is made to share. It is sometimes a bit hard to part with it, but as soon as it leaves me I am ready to make another work of heart. It is a great feeling to share something as personal as art. P.S. 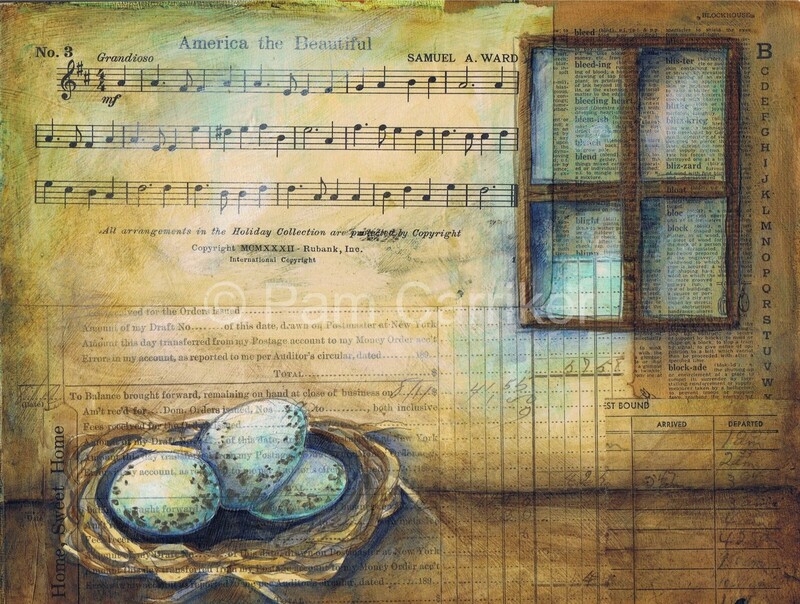 Here is the journal page that was the inspiration behind this piece. 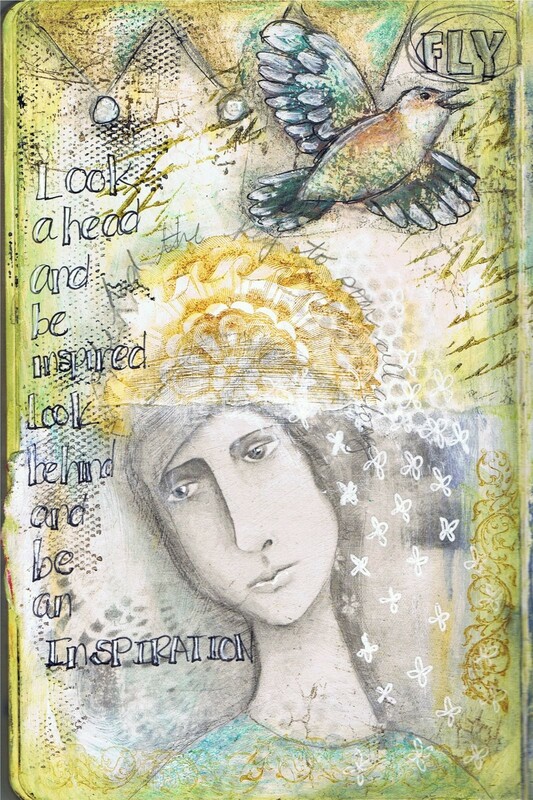 I thought I would share this journal page with you today. I did this little exercise in my journal while traveling to CA for the ConvenZioNE. 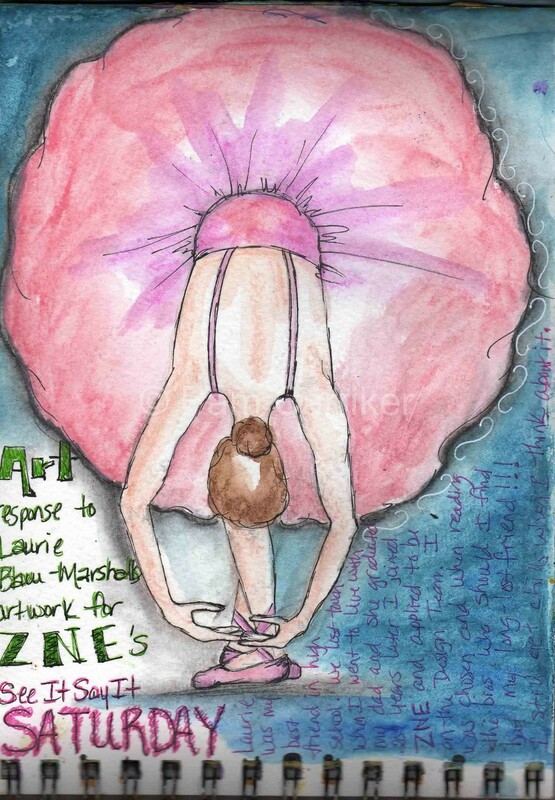 Journals are a great place to actually ‘do’ some of the little exercises artists sometimes publish with their articles. I wish I remembered where I read this, but I don’t. Sometimes I just jot the exercise down for future reference. I do know it was written by Gina Arnfield. 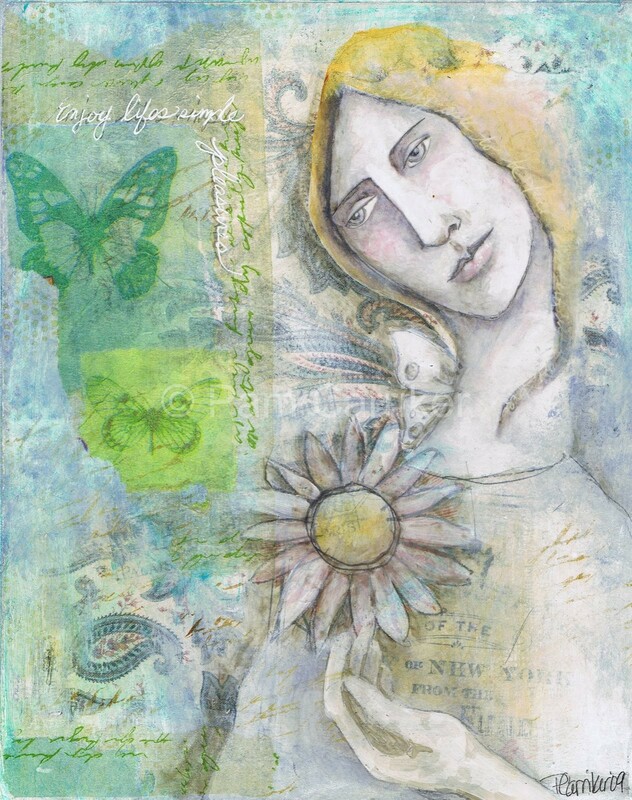 In my journaling workshop I tell people to use things they love, things they are drawn to, colors that speak to them and their pages will turn out to reflect them. That is what this little exercise will help you find out. What are you drawn to? What are your favorite colors? 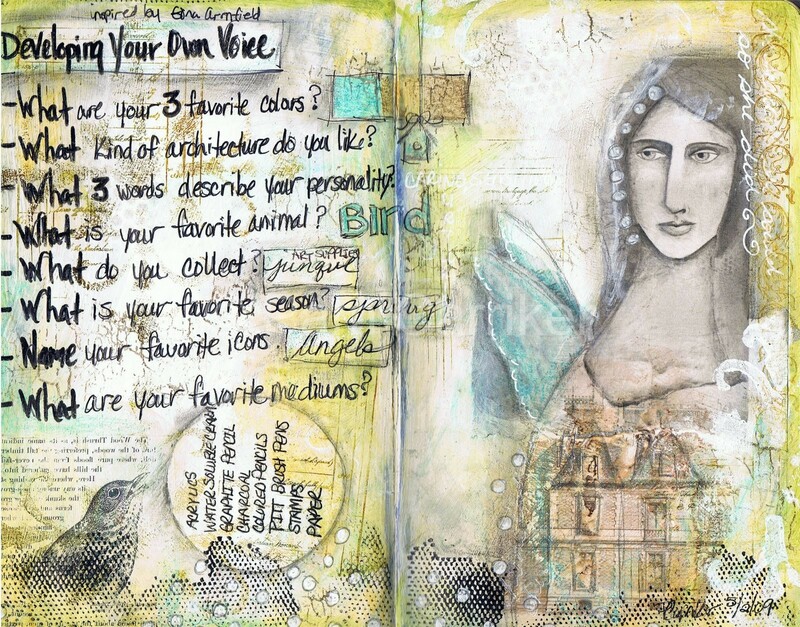 I challenge you to answer the questions listed on my journal page for yourself.